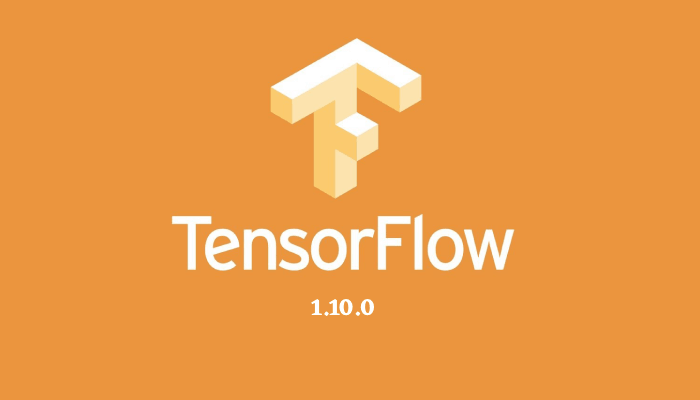 The open-source software library, Tensorflow, that is also a very popular Machine Learning framework used for data flow programming across a range of tasks now has released its version Tensorflow 1.10 on the 9th of August. And for any potential data scientist who is considered to be worthy of this name, letting go of the most recent patches is just not an option that can be considered as you would definitely want to make the use of the libraries and frameworks in order to bring out their potential to the fullest! Complex64 is now supported by the tf.lite runtime. Initial Bigtable integration for tf.data. Improvement in the local run behaviour in tf.estimator.train_and_evaluate which for evaluation does not reload checkpoints. In order to restrict how workers and PS can communicate, RunConfig now sets device_filters and this in some situations can speed up training and ensure clean shutdowns as well. But if you are employed in jobs that seek communication between workers, it will require you to set custom session_options in your RunConfig. Moved Distributions and Bijectors from tf.contrib.distributions to Tensorflow Probability (TFP). tf.contrib.distributions has now been deprecated and will be removed by the end of this year. Addition of new endpoints for existing Tensorflow symbols. These endpoints, going forward are going to be the endpoints that will be preferred and may as well replace some of the existing endpoints in the nearing future. There is also an addition of new symbols to the modules like: tf.debugging, tf.dtypes, tf.image, tf.io, tf.linalg, tf.manip, tf.quantization, tf.strings, tf.math. Prebuilt binaries are now, (when considering TensorFlow 1.10) built against NCCL 2.2 and in the binary install no longer include NCCL. The usage of TensorFlow with multiple GPUs and NCCL requires an upgrade to NCCL 2.2. 2- Starting from TensorFlow 1.11, Windows builds will make the use of Bazel. Therefore, this will result in the dropping of the official support for CMake. The tf.data API makes it easier to deal with different data formats, large amounts of data, as well as transformations that are complicated. Therefore, the Integration of a database feature into it is expected to help with the aspect of data manipulation and analytics. ‘Complex64’ is a data type that represents a complex number, with a float64 as real and a float64 as an imaginary component. Integration of this into tf.lite means that the range of calculations that can be performed has just been extended to cover operations that involve complex numbers as well. The tf.estimator.train_and_evaluate function trains, evaluates and by making the use of the estimator that is passed to it as an argument optionally even exports the model. By not reloading checkpoints (states of the model) for the evaluation part, a lot better performance can be expected from this function.